There is no denying that the buzz word, ‘start-up’ has become politically fashionable as Malcom Turnbull increasingly broadcasts his enthusiasm for an innovative Australian culture. With no signs of slowing down on the innovation agenda, this week marked the beginning of ‘Start-up Week’. Another motion leading to huge expectations of the Turnbull government’s Innovation Statement due before Christmas. Certainly, Turnbull’s passion for innovation has injected a renewed confidence in Australia’s digital future and for potential start-up companies. However, many start-ups may be unaware that there are already steps that they can be taking to maximise their cash flow. In fact, R&D tax credits are a frequently overlooked opportunity for start-ups, with many erroneously believing they are not eligible. By capitalising on these opportunities, start-ups can produce generous tax savings, including generating cash for their past and future investments. We’ve answered six key questions below to assist you in making the claim. 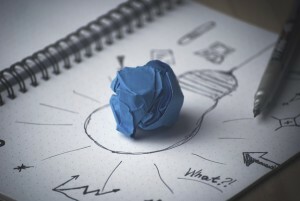 What is the R&D Tax Incentive and are start-ups eligible? 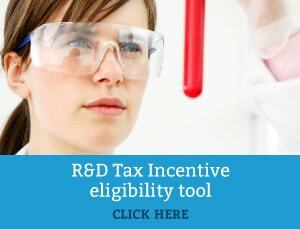 The R&D Tax Incentive is one of the most effective methods of support for research in Australia and provides companies with up to 43.5 cents back for every eligible dollar – even in cases where start-up firms aren’t yet paying tax. Start-ups can indeed qualify for the incentive too. In essence, any firm developing or improving products, processes or software, for example, may be eligible. Overall, the R&D credit is available for small and medium businesses too, but companies do need to take the initiative to apply to get it – the government isn’t simply offering out credits. The minimum amount of expenditure to qualify for an R&D Tax Incentive claim is $20,000. However, for majority of start-ups, the base level of expenditure to ‘rationalise’ an R&D claim is circa $50,000. Do only certain industries qualify? The incentive is very much about improving applied science – solving a customer’s problem or a production issue using acknowledged scientific principles. Problem solving on the site, on the shop floor, or behind a computer – all may eligible for the R&D tax incentive. Moreover, the R&D tax incentive is intended to boost innovation and improve business processes, by no means does the development or improvement effort have to equate to rocket science. Self-censoring is the major barrier to companies claiming the R&D tax incentive. I don’t pay myself a salary, does that matter? In order to claim expenditure under the incentive, you must incur the expense in your company accounts. If you are an owner of the business, salary needs to be paid within the year. Can I claim R&D conducted overseas? Companies may be able to claim overseas activities; however, this is typically reserved to support companies that can prove they could not have conducted the R&D locally. In addition, the deadline for these applications is different – firms must apply within the same financial year as the activities were undertaken. If you think your start-up may be eligible, have a chat to our R&D tax specialists who will be able to answer any further questions or help you make your claim. The earlier you get the ball running and submit your application, the sooner your start-up will receive their refund.